Parcului20 is the latest residential project north town, set to deliver quality apartments at a well-balanced price. We believe that a responsible development should provide the clients with apartments that feature quality architecture and excellent execution, with a fair price tag, for the purpose of making this purchase a safe and well-placed investment. Parcului20 will feature 469 apartments, available in 30 different layouts, which will provide you with excellent ROI and the comfort of knowing that you chose the smartest offer in town. Also, the project includes 579 parking spots, bike parking and 80 storage spaces. The project will be completed in two phases. The two resulting buildings will be eleven stories high, with harmonious volumetric and beautiful fronts. The facades are partially covered in ALUCOBOND® cladding, contributing to thermal insulation and providing a pleasing esthetics. In common spaces, such as lobby, corridors or the garden, you will find natural and sustainable materials, in warm earthly tones. We are investing significant budgets in configurating the private garden of the project, that stretches more than 3000 square meters, filled with trees, perennial plants, relaxation areas, a yoga garden and exercise area. Less than 150 m away there is another small park with playground; approximately 400 m away a new WorldClass center will soon be opened. All apartments are coming equipped with state of the art Gewiss technology, smart-home systems developed by one of the world leaders of the segment. Gewiss has over 50 years of expertise in developing technologies for real estate developments, with an accent on energy efficiency and friendly interfaces. The smart home systems from Parcului20 were especially designed to ensure a high level of control, security and energy savings. 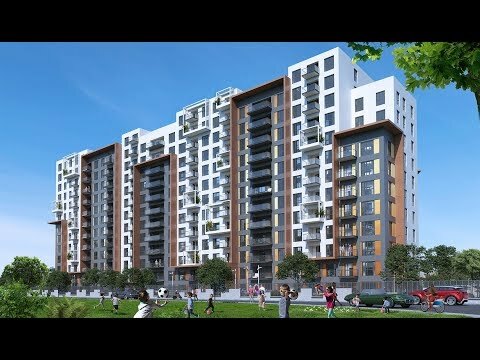 The new residential development called Parcului20 is located next to Expoziției Boulevard, in the hottest new area for real estate developments of Bucharest. From Parcului20 you will need to travel only two minutes by car to Presei Libere Square and six minutes by bike to Herăstrău Park. 150 meters away you will find another green space with playground. Metro stations 1 Mai and Jiului are located close by. The new metro lane scheduled to be implemented, which will connect the train station with the airport, will also pass by close to Parcului20. As such, you will have the new correspondent metro station 100 metre away from home. Parcului20 is located a bit further from the main boulevard, as to provide intimacy and a more peaceful surrounding for the community, away from the traffic of the main road. When you will step inside the 3000 sqm private garden of Parcului20 it will feel like being in your own little park, ideal for quality time outdoors and families with children.